Please use the links below to find more information about the services I provide and also about the website. 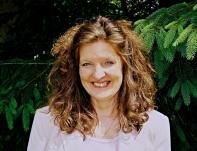 Rhona Gethins was trained in Hypnotherapy by the training centre for the National Society of Professional Hypnotherapists. She subscribes to the code of ethics and practice required, is fully insured and is a registered practitioner with the General Hypnotherapy Register. Rhona is now a fully qualified RELAX KIDS teacher. This allows her to run classes for children, helping to promote self-development, relaxation and self-esteem. Taught relaxation techniques, children gain peace of mind, confidence and motivation. For over 20 years Rhona has been self employed and in that time has been responsible for all aspects of business ownership including recruitment and management of staff, team-building, marketing and staffing of exhibitions. She is a founding member of Perth Businesswomen's Network, has served on the Perthshire Quality Forum and on the committee of the Perth Citizens' Advice Bureau. Rhona's qualities of sensitivity, social awareness and knowledge of business are superb attributes to help her understand your needs and deliver excellent service in her hypnotherapy practice. "My clients like the way that I help them deal with their problems, looking at the whole picture of their lives. Hypnotherapy provides an effective and relaxing route for this to happen".